the ideal that every US citizen should have an equal opportunity to achieve success and prosperity through hard work, determination, and initiative. 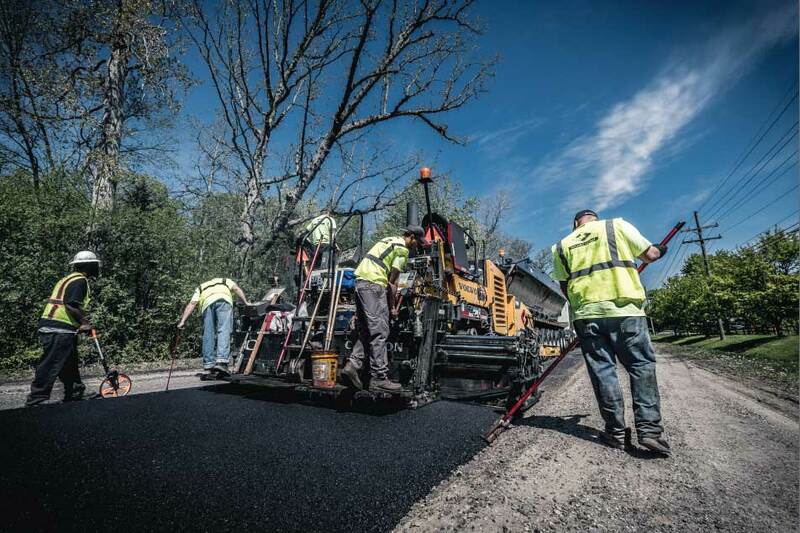 "he should achieve the American dream only by hard work"
Pro-Line Asphalt is a family owned business founded by Charlie and Nanette Jones in 1994 in pursuit of the American Dream. Charlie’s entrepreneurial spirit and unmatched work ethic would provide the foundation and culture for the company’s future. Charlie and Nanette’s sons Ben, Matthew and Jake are all involved in the Family business. Ben and Matthew have been working with them since the company’s start in 1994 and have worked their way to their current roles leading the company. Their youngest son Jake started in 2012 and is currently a project manager. The boys have combined hard work and determination with technology and innovation to elevate the company to what it is today. Through a combined effort and unwavering commitment, the company has flourished and we have come a long way from our humble beginnings. As we continue to grow and our leadership transfers generations, our core ideals remain the same. Our faith in the American Dream is stronger than ever and our pursuit of it is relentless. Our success allows us to provide individuals who share in our beliefs the opportunity to achieve success and prosperity for themselves, which we believe is our greatest accomplishment. At Pro-Line, we believe that what we do is not as important as why we do it. We do it because we love our country and we want to do our part to improve it and leave it better than we found it. We love competition and believe competition pushes us to improve ourselves and provides value to the communities that we work in. We believe building long term relationships is more important than short term gains. We are willing to work hard today so our kids will have a better tomorrow. Our passion for building and improving is summarized in our slogan. At Pro-Line, we believe that what we do is not as important as why we do it. We do it because we love our country and we want to do our part to improve it and leave it better than we found it. 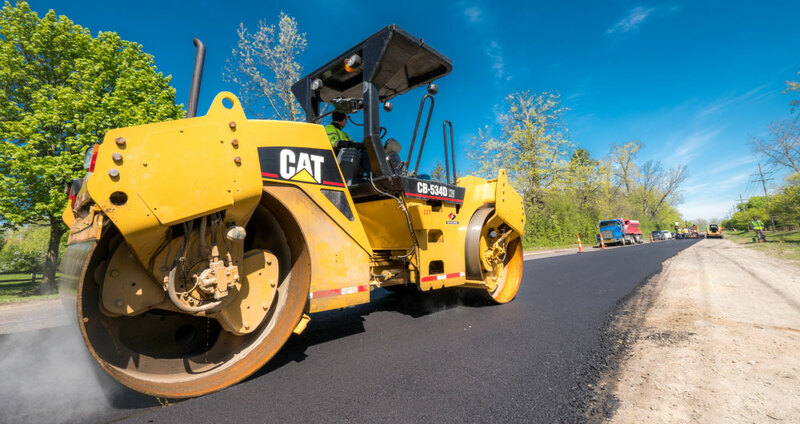 We currently run multiple excavating, aggregate base, and grading crews along with our asphalt paving crew to facilitate every project efficiently. While still servicing local commercial customers, Pro-Line also serves multiple municipalities, governmental agencies, and state work throughout South East Michigan. We employ highly qualified experienced personnel who care about doing the job right. Accompanied with our full line of equipment and trucking fleet our employees take pride in constructing high quality projects efficiently. Our crews are able to build unique and complex projects as well as high production work to fit all of our customers needs. We are a growing company and are looking for employees. Click the link below to learn more about working at Pro-Line. I was the individual charged with overseeing our downtown reconstruction project for the Armada Downtown Development Authority. Pro-Line Asphalt Paving Corporation was hired for this project. I can say, without hesitation, that Pro-line, its employees and supporting contractors did a wonderful and exceptional job in our town. They worked hard to keep our business community assessable throughout the project in half that time that we had allotted. Our timeline was 6 weeks but the work was complete in 3 weeks…. 16 ½ working days. Any concerns we had were addressed immediately and Pro-Line helped in other areas to help the project move along. In my opinion, Pro-Line provided quality, courteous and professional service and product to the Village Of Armada.